How I Tore My ACL & (Temporarily) Shutdown CommunityDiscs.com ! Note the generous “Maine par” – Typical in most of the state. 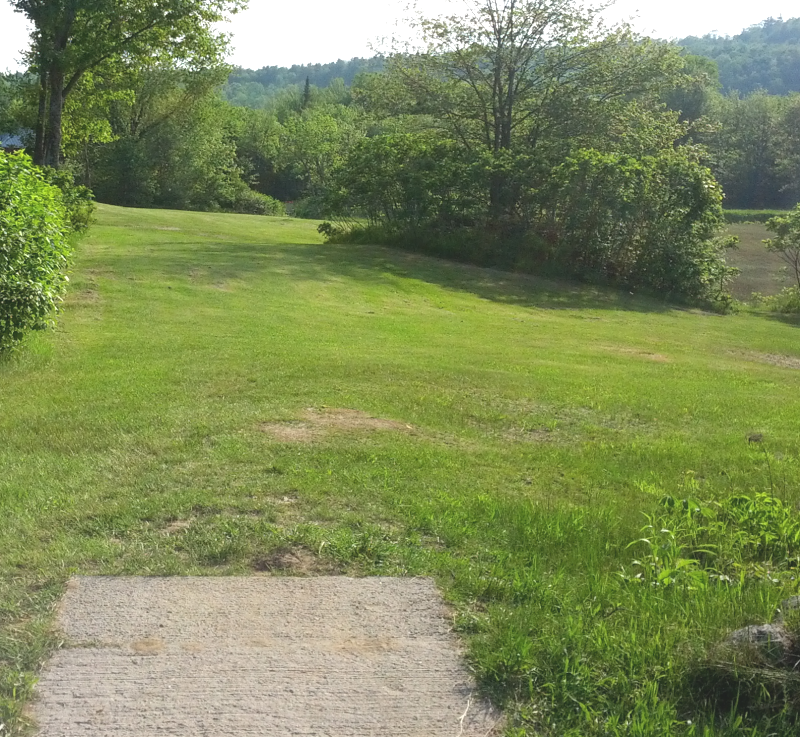 Back in June 2013 on a weekend disc trip I played one of my favorite Maine courses, Cranberry Valley. I was excited to show a course I love to a friend from outside New England. 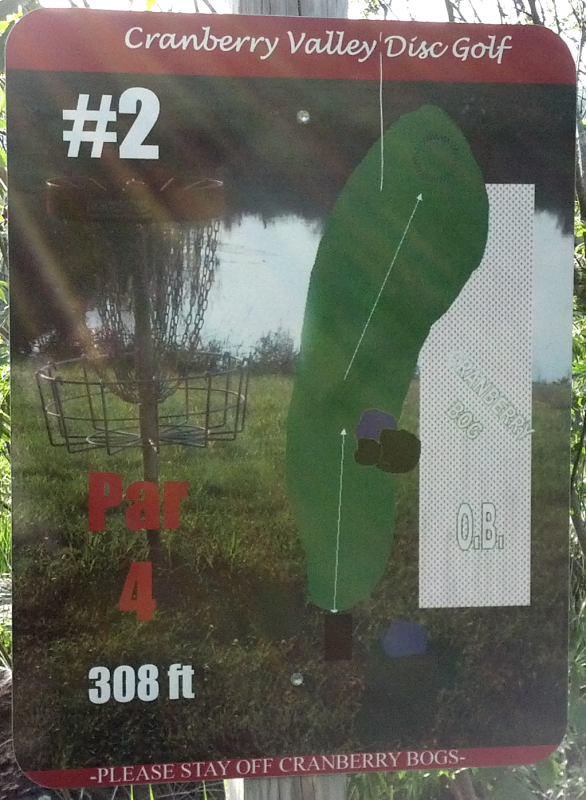 It’s a great course that plays around a large family farm stand & cranberry bog. 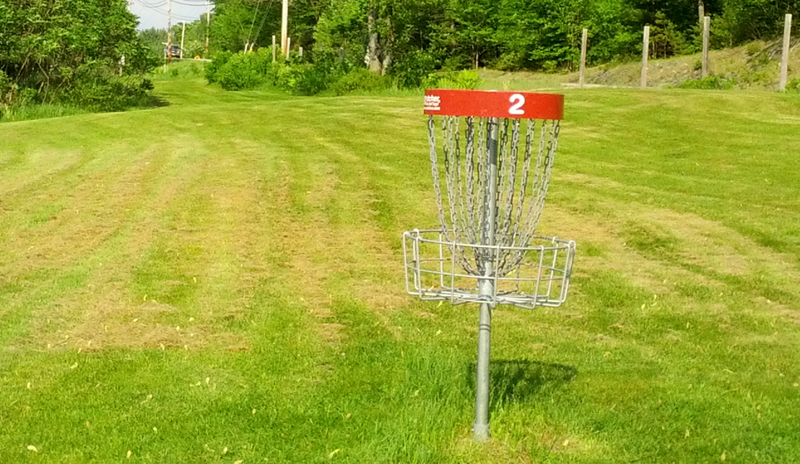 It’s not one of the famous Maine “facilities” with multiple courses, a big shop with $20 discs for sale (Zing! ), and it’s outside the 95/295 loop so it’s certainly not an extremely well known course. Basket is behind & far past the trees on the right.. I step up to throw on the narrow but level concrete teepad. As I rotate something pops in my knee. I go down hard. 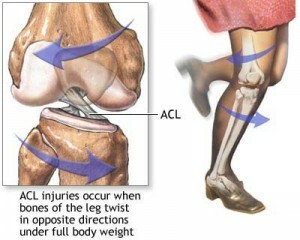 I would later learn that I severed my ACL and also tore my meniscus (cartilage below the kneecap). My physical therapist at Mass General determined I have horribly inflexible ankles. Since my right ankle (plant foot) couldn’t rotate enough, my knee had to make up for it in order to keep up with the rotation of my hips. Smart guy. I guess that’s why some of his patients are Bruins & Patriots. (I will spare you my favorite rant about healthcare in the US and its costs.) Very recently my wife got us some much better health insurance than I had been carrying for us. It was time to finally get my knee fixed. Feb, 17th 2015 = ACL replacement day. The initial stage of recovery prevents driving for many weeks so that means no Community for me…or anyone else for that matter 🙂 from Feb 14th until April, 1st 2015.